This popular Costa Rican celebration, first held in 1913, consists of a colorful regatta of decorated fishing boats and yachts in the Nicoya Gulf to salute Puntarenas’ Patron Saint, the Virgin of Mount Carmel. Fishing boats and yachts are decorated with lights and flags and sail around the harbor. Thousands of locals flock to the harbor to celebrate and witness the blessing of commercial fishing boats by the local priest. Special masses, parades, concerts, dances, sports events and fireworks are all enacted in her honor. As with most Central American parties, food and drink are plentiful so be come on an empty stomach and fill up on local delicacies like casado (rice, beans, stewed beef, fried plantain, salad and cabbage), olla de carne (soup of beef, plantain, yucca, nampi and chayote)) and picadillo (meat and vegetable stew). You’ll have to make reservations months in advance as tourists from the world over as well as thousands of Ticos come to participate in the festival. The bus costs about $3 and departs on the hour to and from San Jose. 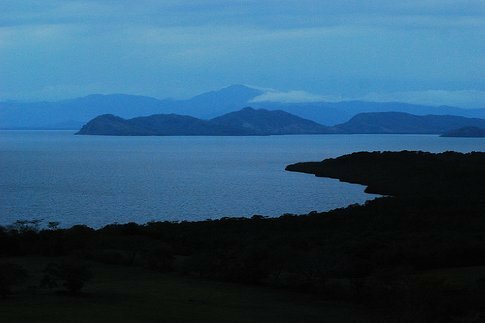 Ferries depart from the far tip of the peninsula for Playas Hermosa, Naranjo and Paquera in Nicoya. You’ll find that fresh seafood is pretty much offered on every corner in Puntarenas – try the kiosks and sodas if you’re looking to dine on a budget.